October 2, 2013 - The National Air Traffic Controllers Association condemned the shutdown of the federal government and called on Congress to end it immediately. As a result of the shutdown, 3,000 of NATCA’s aviation safety professionals, vital to the daily function, maintenance and safety of the National Airspace System (NAS) have been furloughed. During the shutdown, air traffic controllers are working without pay, but essential support staff specialists have been furloughed. Rinaldi said this is akin to a surgeon performing an operation without any staff to prep the room, clean the equipment or provide support during the surgery. In addition, controllers who train new hires will be unable to continue much of the training process. This could result in high controller attrition as frustrated trainees fall further behind in the training process. Controller hiring was already frozen due to sequestration. Below are just a few of the thousands of projects that will be delayed or halted due to the government shutdown and furloughing of aviation safety professionals. - A delay in the opening of a new runway at Chicago O’Hare Airport. - A flight inspection scheduled for Janesville, Wis., Airport has been shut down due to the furlough of key personnel. Without an inspection, the approach into the airport will eventually be declared inoperative. This results in inefficiency for air traffic controllers and pilots, and a reduction in the margin of safety. - Thousands of certification projects performed by NATCA Aircraft Certification Engineers are now suspended. - A halt in the ELD Power Cable Replacement at Dallas Fort Worth Airport (DFW). The cable supplies power to the navigational aids on the diagonal runways at DFW. Construction planned for January will now be delayed for an undetermined amount of time. 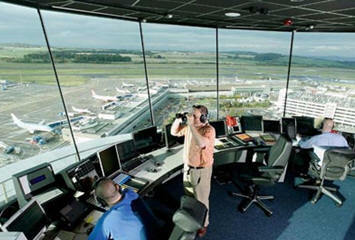 - A hold on hundreds of Aircraft Certification Office projects. This will result in a delay in the approval of safety related equipment modifications to aircraft going through the certification process. - A stop for work on Airworthiness Directives, NTSB safety recommendations and other vital safety related work performed by Aircraft Certification Engineers. This could delay the issuance and implementation of mandated safety fixes to aircraft. - A delay of all projects affecting surveillance radars that feed the 100 busiest airports in the NAS. - A halt in the development and implementation of navigational aids for a new runway at Fort Lauderdale airport. - A halt on several runway safety projects, including glide slope relocation at Long Beach, Calif.
- A delay in major mechanical upgrades scheduled for three air traffic control En Route Centers.